(Rochester, MN)— In response to current industry demand and impending critical workforce shortages, Rochester Community and Technical College (RCTC), working in partnership with Rochester-based Great Planes Aviation, announced the addition of a new Aviation Pilot Associate of Applied Science degree program at the College. The College made the announcement at an event held today at the Signature Flight Support Events Hangar at the Rochester International Airport (RST). The Aviation Pilot program is designed to educate students who wish to pursue a career as a pilot in commercial aviation. The Associate in Applied Science in Aviation Pilot program is designed to prepare students with the technical knowledge and skills to prepare them for the required Federal Aviation Administration (FAA) written and practical examinations for Commercial Pilot Certificate with Single Engine Airplane Land Rating; Instrument Rating; and the Flight Instructor Single Engine Airplane Certificate with Single Engine Airplane Land Rating for initial employment as aircraft pilots in a variety of entry-level, flight-related occupations. Completion of this program is the initial step in becoming a commercial airline pilot and will prepare students for transfer for completion of a bachelor’s degree. Students aspiring for employment with airlines can elect to use their Flight Instructor Certificate to build flight time in an economical manner. RCTC’s 60-credit program curriculum features both general education and aviation-specific coursework including math, physics, communication, aviation theory, air navigation, plus extensive flight lab experience. General education courses are taught by RCTC instructors, and aviation classes are taught by certified flight instructors through the program’s partnership with Great Planes Aviation. This program is designed so students can seamlessly transfer into Minnesota State University, Mankato’s Aviation program to complete a bachelor’s degree—one which will allow them to apply for a commercial pilot’s license for flying larger aircraft for national and international airlines. 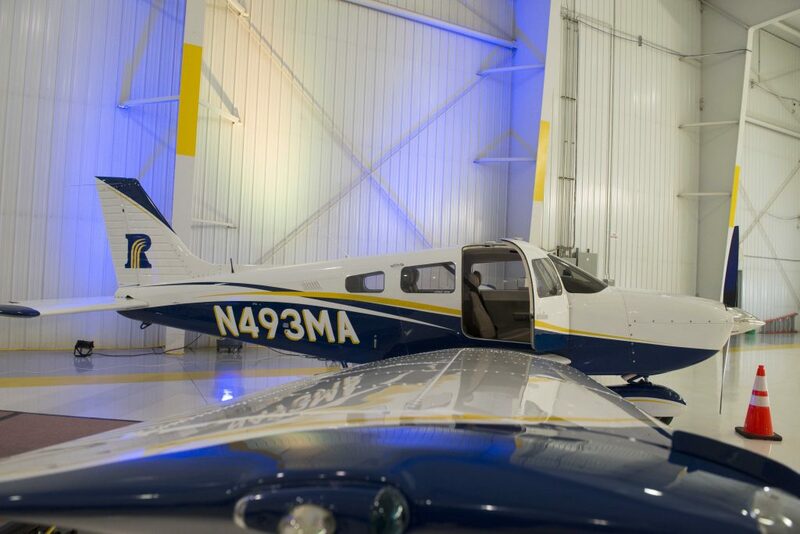 RCTC Aviation Pilot students will learn in brand-new facilities at Rochester International Airport as well as the RCTC campus. The RCTC/Great Planes fleet includes three Piper Archer III aircraft each featuring RCTC colors and graphics, as well as upgraded avionics and instrument displays. Students will also use a state-of-the-art Redbird MCX flight simulator—one of only two in the state of Minnesota. The MCX is an FAA approved Advanced Aviation Training Device which allows the student to be immersed in 200°, high-definition visuals. The one-of-a-kind Redbird MCX system comes equipped with a 3-axis, electric motion platform which provides effective motion feedback for yaw, pitch, and roll, which gives students a realistic feeling of flight while on the ground. The College and its partners are hosting a public program open house on Thursday, February 7, from 3-6pm at the Signature Flight Services Events Hangar, 7300 Brataas Drive, SW, at the Rochester International Airport. Anyone interested in the program is encouraged to visit to see one of the planes, the simulator, speak with instructors, advisors, admissions specialists, and program administrators to see if Aviation is the right career path for them. Potential applicants are encouraged to attend one of two program information sessions coming up on March 1stand 7th. Complete program information is available at rctc.edu/aviation.